Farmers have made big strides on implementing and scaling conservation measures to improve water quality and agriculture’s overall environmental footprint. 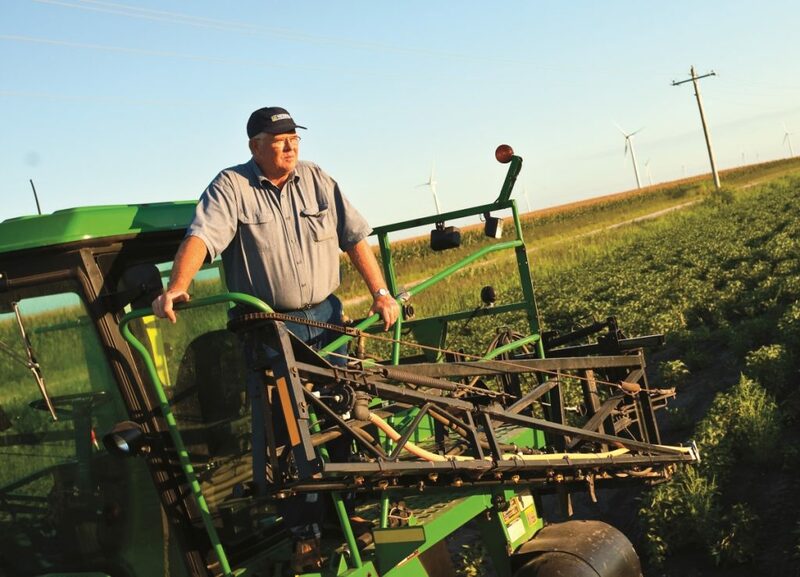 Unsung heroes like Tim Richter, Kristin Duncanson and Denny Friest are constantly fine-tuning nutrient and soil management with new efficiency tools, finding better ways to implement cover crops or reduce tillage, installing wetlands and buffers, and introducing new crops into their rotations. When the USDA conducted its Conservation Effects Assessment Program on the Mississippi River Basin, its research showed that farmers had installed structural practices for controlling water-related erosion on 45 percent of all cropped acres in the region and had adopted reduced tillage on at least one crop in their rotation on 95 percent of the region’s farmland. In fact, on 40 percent of the region’s farmland, growers had already taken enough steps to reduce runoff and boost soil health that there was little need for additional conservation treatment. The same report, however, identified 47 percent of cropped acres that need more and better nutrient management to address excessive levels of nitrogen loss. That’s where we should focus conservation efforts. And we can’t ask farmers to bear the burden alone. Responsibility should be shared throughout the supply chain. We need to incentivize innovations that make sustainable production more accessible and cost-effective. This includes creating more public-private partnerships, incorporating flexible practices into USDA conservation programs through the 2018 Farm Bill, and making it easier to find independent information about how well nutrient use efficiency tools work. Agribusinesses that sell inputs and advice to farmers need to offer more robust programs for sustainable production. Land O’Lakes has been a leader in this space, creating a first-of-its-kind business unit that helps to train and equip its ag retail network to implement on-farm sustainability practices. Land O’Lakes’ SUSTAIN aims to enroll 20 million acres in conservation agronomy by 2025. We need more ag retailers to follow this lead, as well as expand services through independent crop consulting firms like TeamAg Inc. and G&K Consulting. Food companies and consumer-facing retailers need to commit not only to improving the sustainability of their supply chains, but also to investing time and resources into education and infrastructure that will help farmers help them deliver on their commitments. They can follow the example of leaders like Smithfield Foods, Campbell Soup Company and the partners in the Midwest Row Crop Collaborative. All parties have the same goal – optimizing nutrient use to ensure clean water. Making progress toward that goal requires talking openly and honestly about tough issues like the pervasiveness of water quality problems, as well as the complex, all-hands-on-deck approach we need to solve them. Building a resilient, sustainable food and ag system is hard work, and farmers are on the frontlines. Let’s support them as we jump in to do our share. This entry was posted in fertilizer, Partnerships, Supply Chain, Sustainable Agriculture and tagged campbell soup company, collaborative conservation, Denny Friest, farm bill, Kristin Duncanson, Kristin Weeks Duncanson, Land O'Lakes, midwest row crop collaborative, nutrient management, nutrient use, Smithfield Foods, SUSTAIN, Tim Richter, USDA, water quality. Bookmark the permalink. Both comments and trackbacks are currently closed. Agreed to your point The entire food and ag supply chain has a role to play in improving water quality! !